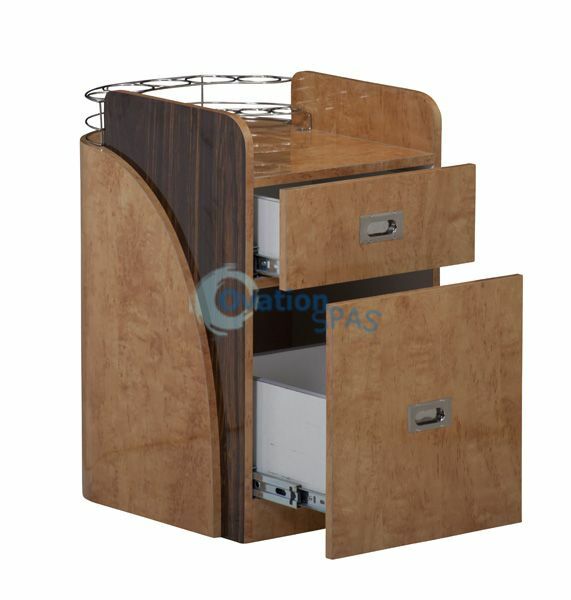 Accessory Cart is Slick looks with 2-tone color, it built with commercial grade formica. This is hard to find item. It comes with stainless steel rack for nail polish and other chemical bottles.